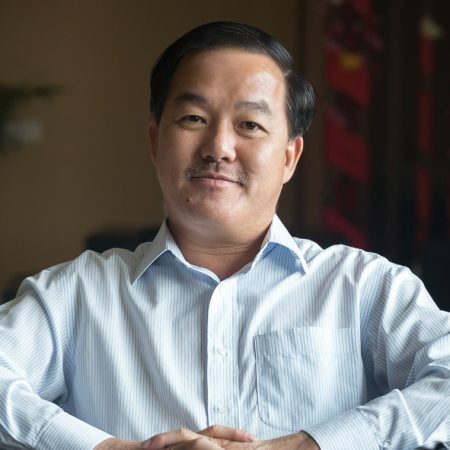 Tee Eng Ho won’t let challenging economic conditions stop him from growing Kerjaya Prospek into Malaysia’s leading construction and property business. 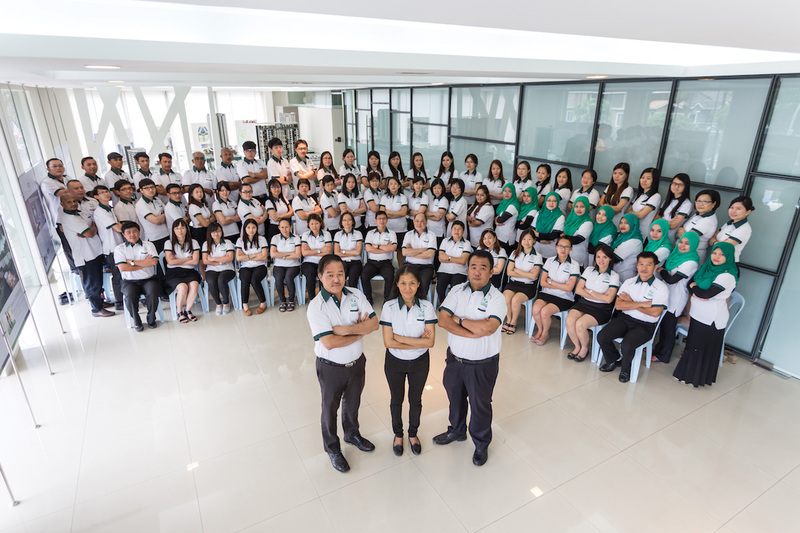 For Malaysian construction group Kerjaya Prospek, setting records and winning accolades is rewarding, but they come second to growing a reputable and sustainable business in today’s challenging economic environment. Analogies of constructing strong, high-end buildings that can weather any storm to creating a dynamic business with the same qualities are not lost on Tee Eng Ho, Executive Chairman of Kerjaya Prospek Group Berhad (KPGB). And as with any buildings, it all starts with getting the foundations right. Eng Ho believes successful foundations are built from a solid financial structure, strong cashflow, and cost-efficiencies that keep the business lean. It was a challenging juggling act, but Eng Ho says the company came out of it with business and reputation intact. “We became a trusted and even stronger partner with the developer, and we earned the loyalty of many subcontractors who had survived the crisis. These companies continue to partner with us today,” he notes. The experience Eng Ho brings from having worked in the construction industry for 30 years was also a factor in steering KPGB through the downturn. In 2011, he was appointed chair of construction firm Fututech Berhad, which listed on the Kuala Lumpur Stock Exchange in 1996 – a year before the crisis hit. The company would go on to acquire Kerjaya Prospek in 2016, and Eng Ho continues as chairman for a group that now incorporates four business divisions: construction, property development, kitchen cabinetry, and lighting manufacturing. “We’ve been in the construction and property businesses for a long time,” Eng Ho says, “and with any challenge, it comes down to two main things: careful planning and thought-out execution.” Both are important factors for what Eng Ho expects to be a “cautious” year for Malaysia, “with some optimism coming through as we move towards 2018.” He also believes that the company’s financial stability and competitive pricing track record bode well for KPGB during the current economic challenges. “Our track record has shown that despite the present slowdown, we’ve managed to replenish our order book at a rate higher than market expectations,” he says. With any challenge, it comes down to two main things: careful planning and thought-out execution. But while the company’s construction outstanding order book of RM2.5 billion will provide earnings visibility for the next 3 years, Eng Ho is striving for more contract wins this year, and to expand the construction and property development divisions. “We plan to grow our construction segment organically and/or by acquisition,” he says. “In terms of capacity and expertise, we’re fortunate to have a professional and experienced team capable of learning fast and handling many projects, including new contracts.” These new contracts include piling and reclamation – a logical business fit, and areas ripe for growth. Another area progressing well for KPGB is its property development division. The company is currently working on two major projects located in Genting Permai and Shah Alam with a total gross development value of RM500 million. When it comes to high-rise premium projects, KPGB has an impressive track record. The Shore at Malacca River was built in 2014 as Malacca’s tallest building. Considered an iconic development, it won ‘Best Commercial Landscape Architecture’ project at the Asia Pacific Property Awards. “We’re also currently completing one of the tallest buildings in Johor, Malaysia, known as Sky 88,” Eng Ho adds. Historically, he admits, there have been many challenges, including manpower and quality issues, associated with high-rise projects. In addressing these hurdles that inevitably come with such a labour-intensive industry, the company has invested in what many believe to be the future of construction – industrialised building systems (IBS), or in-sit structures, which are being used to cut down on costs, time and labour without compromising on quality. Maintaining a lower-cost base and strong cashflow continue to be important priorities for Eng Ho. In addition to its IBS investment, the company also keeps a close eye on other on- and off-site costs. “We implement strict control measures at our site, as well as within our supply chain and operational areas,” he says.